Listen to full sermon here. Click here to Download an audio file of the sermon. Today I am going to suggest a resolution for 2018 that I hope you will join me in. But in order to set up this resolution, I want to give us some background first. And this background information is stuff that as Christians we should know, although we may sometimes forget or at the very least it’s not at the front of our minds. So, bear with me, as we set up our resolution by talking about stuff that you probably already know, but will serve as a good reminder. 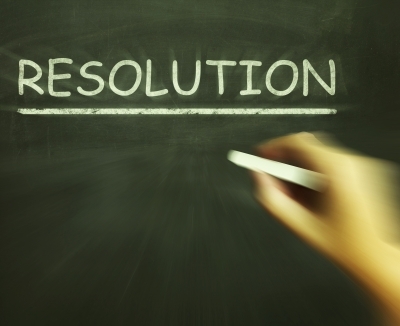 The first thing we want to talk about as we set up our resolution is the Christian Transformation. When we become Christians… Jesus does not want our lives to stay the same as they were before we were Christians. He wants to transform our lives (Ezekiel 36:26-27). Before we become Christians, our lives were spiritually unhealthy Self-Centered lives full of sin. And Jesus wants to transform us into spiritually Healthy Christ-centered parts of the Body of Christ. Now, for lack of a better comparison… I want us to think of this transformation as a similar to the transformation that an addict goes through when they go to a treatment center to get cleaned up. And the goal of a drug addict going to treatment is to go from being focused on drugs every day and where the next high is coming from, to being focused on healthy living and how to be a functioning member of society. For the Christian, the transformation goes from being focused on self every day and how do I get ahead, to being focused on the will of God and becoming a functioning part of the body of Christ. This is what it is all about and this truly is what we should expect in our faith. This is a huge transformation that is not easy. And this sets up the second thing we want to talk about as we introduce our 2018 resolution: Christian Resources. The drug addict is given resources to help him through the difficult transition from life focused on drugs to a healthy life. He is given a counselor, a support group and a program to follow. And similarly, to help us through the difficult transition of being focused on Self and sin, to being focused on Jesus and being a part of the Body of Christ, we are given 3 resources. We are given the Holy Spirit (our counselor), we are given the church (our support group), and we are given the Bible, which gives us the outline of our program to follow to begin the transformation. And we need to learn to rely on these three resources throughout our Christian life. So today, I want to suggest that we adopt a resolution or a goal for 2018 that focuses on one of these resources and that is to read the Bible from Genesis to Revelation in 1 year. The Bible is God’s word and because it is God’s word it carries with it a lot of power. God created the world with only his words imagine what it can do in your life. And when we become Christians the power of God’s word becomes active or it is activated in our lives. In other words, the promises become promises to us, when we become Christians… It’s meaning and instruction… becomes meaning and instruction to us… So, we need to learn in and learn to rely on it. I truly hope that you are starting to get it… To see just how important the Bible is to us as Christians… How important the bible is to our life… How much power the Bible carries, and why we should be reading and studying it daily!!! If you want to join us in the resolution you find our reading plan and follow along at www.8201mccrory.org. The goal here, is that we will all read the scripture during the week, and then we will have a message on what we read or just a part of what we read on Sundays. Will you join me in taking on this resolution for 2018? If you have found this topic interesting or helpful, please share! You can easily share by clicking on one of these icons. Copyright Stephen Shumate 2014. Picture Window theme. Powered by Blogger.